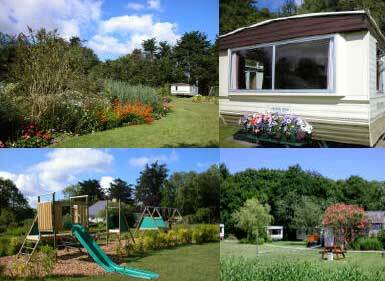 Silver Glades Caravan Park on the Isle of Wight provides quality holiday accommodation in spacious woodland gardens. This lovely park is child and pet friendly and makes an ideal base for walking, cycling, nature watching and visiting the Island´s attractions. It is located in a spectacular woodland setting, just 2½ miles from Yarmouth, on the north west coast of the Island. Silver Glades is unique, with just ten caravans in the large gardens, giving plenty of space to get away from it all and unwind in the tranquil surroundings. Silver Glades Caravan Park is owned and operated by Richard and Susan Thorne, a husband and wife team who made the park their home in 2002 because of its very special character. They aim to maintain the site as a quality and affordable caravan park in a relaxing, rural area, using environmentally friendly practices wherever possible. Silver Glades Caravan Park is an ideal holiday location for those seeking to escape to the peace and tranquillity of a lovely rural area. The site has 3½ acres of attractive gardens and woodland, which are available for the use of guests. The surrounding area is rural woodland and farmland forming part of the Hamstead Heritage Coast. One parking space per caravan is provided in the site car park. To maintain peace and site safety, vehicles are not permitted beyond the parking area. The furthest distance of any caravan from the car park is approximately 90 metres. Trolleys are provided to assist with luggage and caravans closest to the car park can be allocated to those with mobility difficulties. Outside tables and chairs are provided for the occupants of each caravan and there is also seating provided around the garden. Portable barbecues are available for use at caravans. The garden provides plenty of room for children to play outside. The site is particularly suitable for children up to the age of 12. To keep them entertained, a range of play equipment is provided. Equipment for swing ball, cricket and rounders is provided at one end of the garden. There is a badminton and tennis net located centrally and a football area which is well away from the caravans. Swings, a climbing frame and slide are available for younger children to use under the supervision of their carers. The site reception building includes a display of tourist information, a lending library of books and jigsaws plus a selection of wet weather games. A public toilet block provides additional bathroom facilities and a laundry room. Concrete paths connect the caravans to the laundry/toilet block and the car park. Dogs can be exercised locally and pets are welcome, provided they are not left alone in caravans or allowed to foul the site.